Hello ownClouders! 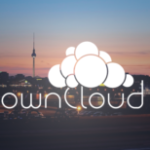 My name is Tobias Gerlinger, and I am happy to introduce myself to the ownCloud community today. I’m a graduate in business administration and mechanical engineering and I started my career as a sales and marketing manager in the software industry before taking several roles as an active investor in different companies. As it was announced on the company blog, I joined the German ownCloud GmbH as one of two managing directors, bringing in some fresh money to continue the great venture and the ownCloud project . 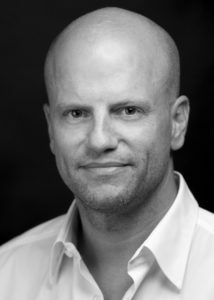 My Co-Managing Director and ownCloud founder, Holger Dyroff, will work with you on product strategy and technology. Our mission is to continue building up the business around the ownCloud project by creating a sustainable product and to provide an industry-leading service and support for both new and existing customers. I was happy to find a very motivated and professional team here at ownCloud GmbH that burns for open source and has already proven able to deliver just that to big customers like Deutsche Bahn and CERN. And I am so proud to join this team. 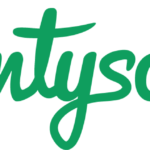 I understand that the only way to succeed is with a vital and happy open source community, as well as an open and fair collaboration between the company and the community. ownCloud GmbH will continue to support the community as it has done since day one, and we will further improve our open development process based on the open source best practices that you guys have helped to build and have lived every day. One of the most important tasks right now is to get the Foundation on its way. 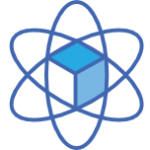 The Foundation will be the base for the ownCloud community and guarantee its future. I’m excited that I am now an ownClouder and will be happy to contribute to the community. which should allow one to e.g. subscribe to the calendar from within Claws-mail by providing public WebCal URL (file.ics). As you can see on the bottom of the page, there’s a work in progress. Everyone who had followed this project for the last weeks reads your fuzzy last words as “you better keep with us and don’t ever listen to what Frank and the other Nextcloud fellows are writing”. This is the opposite of what you are trying to make people believe about you and your projects goals in the entire posting above. You could have gotten deeply into what the hell is actually the problem. That would have shown that you are really into being open and transparent about the goals of the project. Instead, you actually approve the rumors about there has gotten a lot of uncertainty into the ownCloud leadership. I really don’t feel like I still want to contribute to ownCloud, as the project has become weird somehow.